Visitors to North Devon can enjoy Sites of Special Scientific Interest, sea air and golf at these coastal parks and beaches. At the western edge of the Taw / Torridge Estuary, lying within an Area of Outstanding Natural Beauty, the Burrows form an integral part of the United Nations Biosphere Reserve and is an SSSI site. Approximately 253 hectares of grassy coastal plain with salt marsh, sand dunes and generally unimproved grasslands. 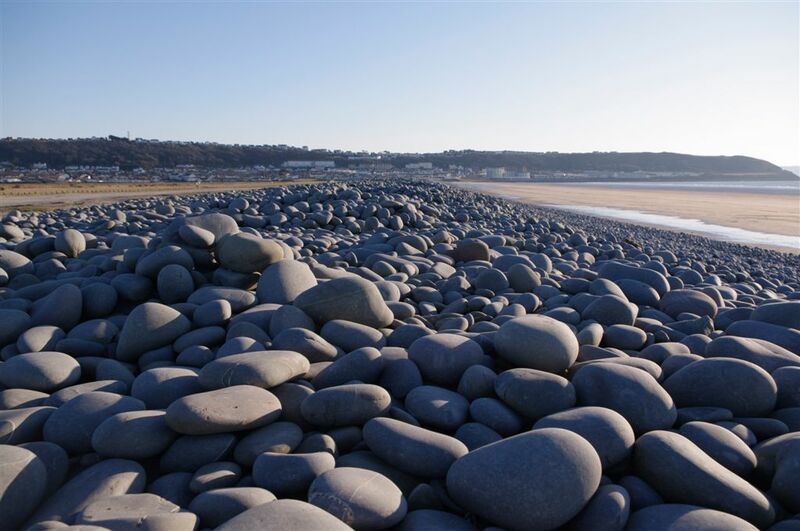 The spectacular Pebble Ridge can be seen here with the main access point to the beach from the town of Westward Ho! . Braunton Burrows is close to the famous archaeological, Braunton Great Field, an unusual relic of Medieval open-field cultivation and is an internationally important area of sand dunes, Britain’s first Unesco Biosphere Reserve. The diversity and abundance of rare flora contains around 500 species of flowering plants and one of only two UK sites for the Water Germander and a wide range of rare orchids. At the northern edge of the sand dune system, is Saunton Burrows, the start of a three mile (4.8km) crescent of fine golden sands, stretching southwards between the sea and Braunton Burrows, towards Appledore and Bideford Bar out in the estuary. Saunton Sands has a car park, small shop, café and toilets. The beach is a very popular surfing centre. Bathing is safer at the northern end of the beach, with dangerous currents at the southern end. There are two courses, the East Course, ranked No.32 in the Golf World ‘Top 100 Courses’ and the West Course at No 67.Only one Club with 2 better links courses in the whole country is at St Andrews!